As someone who’s been in (and occasionally out of) education for nearly 30 years, I have a few opinions on how I think it should work. And to be honest, it doesn’t always work the way I’d like. I am particularly interested in how schools need to change in order to accommodate today’s learners; how we could better align what we say is important in education with what we actually do in schools; and how digital technologies could be used to make all this learning more powerful, meaningful, interesting, relevant and fun. I have a wide range of interests, based on everything in general and nothing in particular… if it’s funny, insightful, curious or just plain bizarre, I will probably find it interesting. This blog is my personal place to think out loud, ponder ideas that strike a chord with me, share things I find interesting, and sometimes just have a rant about what I think is wrong with the world. This blog documents my own personal journey of learning and discovery, but I’m very glad to be able to share it. Your contributions in the form of comments are always very welcome. I originally trained as an art teacher but thanks to an interest in graphics and design, I gradually drifted away from that role and into a variety of other education and technology-related areas including the teaching of computing across K-12, multimedia and design, eLearning support, network and IT management, and some educational consulting. 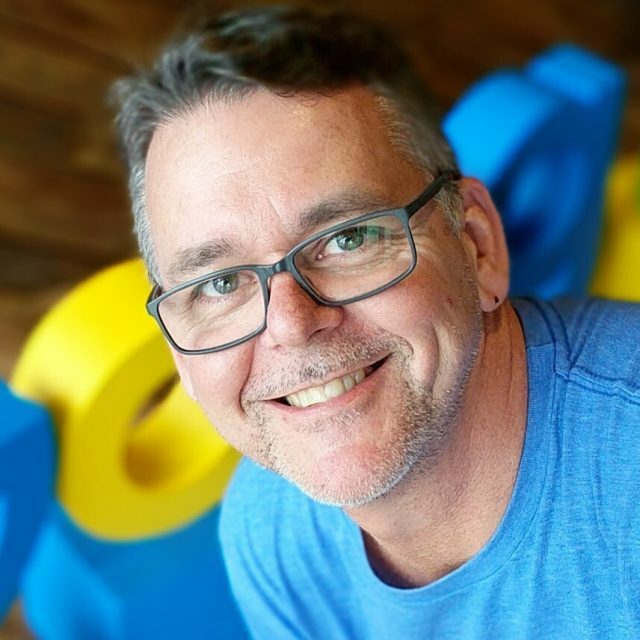 After nearly 30 years working in lots of different schools I am now the Director of Professional Development for EdTechTeam in Australia and New Zealand. I get to work with an amazingly talented global group of educators who aim to inspire and empower tens of thousands of teachers around the world and help them change the way they think about teaching and learning. Being somewhat of a dilettante I’ve accumulated a broad set of experiences across a wide range of educational technologies and I think that often gives me a unique outlook on how I think things should work. 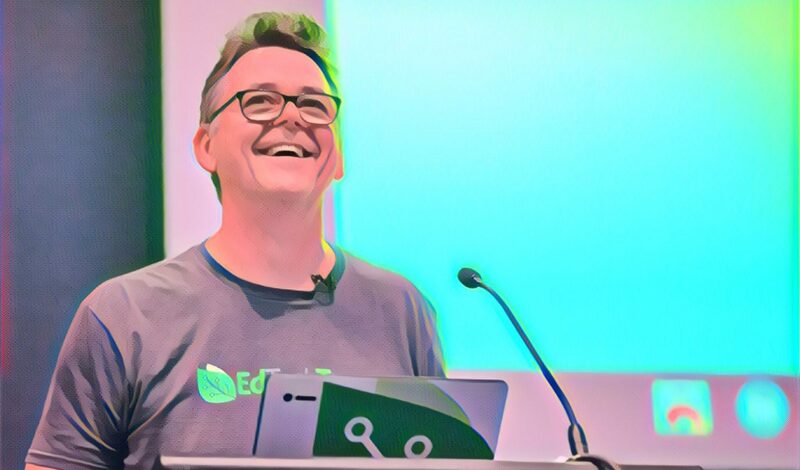 I enjoy sharing ideas with others and in the last few years I’ve been able to work with teachers in Australia and around the world on a wide range of edtech-related ideas. In case you haven’t worked it out by now, yes, I’m a bit of a geek. However, I can be an unusually social geek, so feel free to drop me a comment or just say hello. If you like what you see on this blog, feel free to add a comment to one of the posts. Thanks for reading! While I write mainly for my own reasons, it’s still nice to know you’re there. In 2008 I was chosen to be part of the Adobe Education Leader program. The AEL program is supported by Adobe Systems and recognises the contributions of innovative educators from around the world using their tools and applications. As an AEL I get inside information about upcoming Adobe products, direct access to training and resources and access to all of Adobe’s amazing professional software. Seems like all that misspent youth playing in Photoshop, Illustrator and InDesign actually paid off! 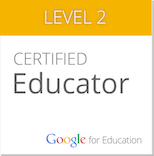 In 2011 I was accepted into the Google Teacher Academy held in Sydney Australia. 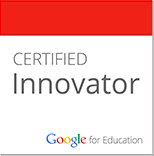 Being someone who regularly uses many of Google’s tools, it’s great to be part of this community of innovative educators and to be recognised as a Google Certified Innovator. Since then I’ve also done the Level 1 and Level 2 Certified Educator exams, as well as becoming a certified Google For Education Trainer. In 2010 I was awarded the inaugural Australasian Educational Media Award at the ACEC Conference in Melbourne. This award was designed to “acknowledge the contribution of Australasian educators who support the learning community through blogs, wikis, podcasts, forums, mailing lists, virtual communities and other internet resources.” I felt honored to have been nominated, but to win it was quite a surprise! In 2012 I was awarded the inaugural ICTENSW ICT Educator of the Year award. 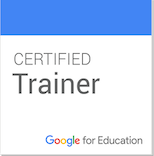 This award recognises NSW teachers who contribute to the use of ICT across the curriculum by ICT Educators of New South Wales, a professional organisation supporting ICT educators in New South Wales. 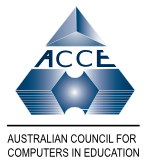 In 2013 I was also recognised as the Australian ICT Educator of the Year by the Australian Council for Computers in Education, the peak national body for ICT education in Australia. PS: It goes without saying (but I’ll say it anyway) that the thoughts and opinions expressed on these pages are all mine, and do not necessarily reflect the opinions of anyone else, including my employer or my mother. If you take issue with anything I’ve said here, you’ll have to deal with me directly. Fair enough? PPS: Lately, I’ve been getting quite a few requests from companies and other people with a particular interest in wanting me to mention their products on this blog. Just to save us all some time, you might want to read this post before you make your solicitations.